At Staten Island University Hospital, we offer a full range of radiation therapy services for adult and pediatric patients. 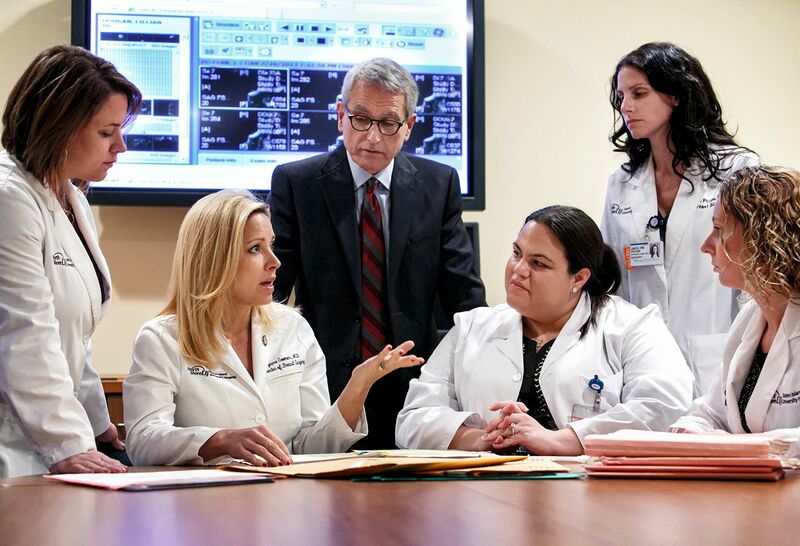 We collaborate with outpatient oncology and other specialists to provide a treatment plan that aligns best with every patient's unique needs. 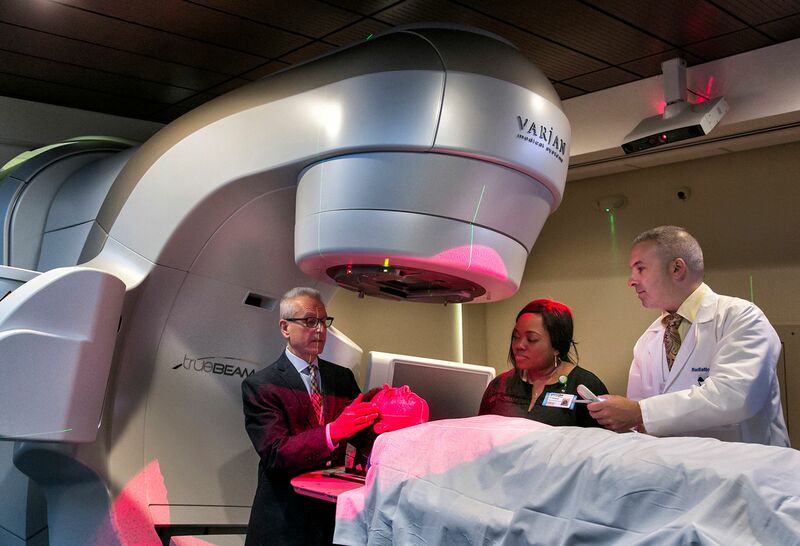 Our comprehensive and coordinated cancer services, including radiation medicine, are right here on Staten Island. We offer a full range of state-of-the-art radiation therapy services for adult and pediatric patients in a supportive and compassionate environment. 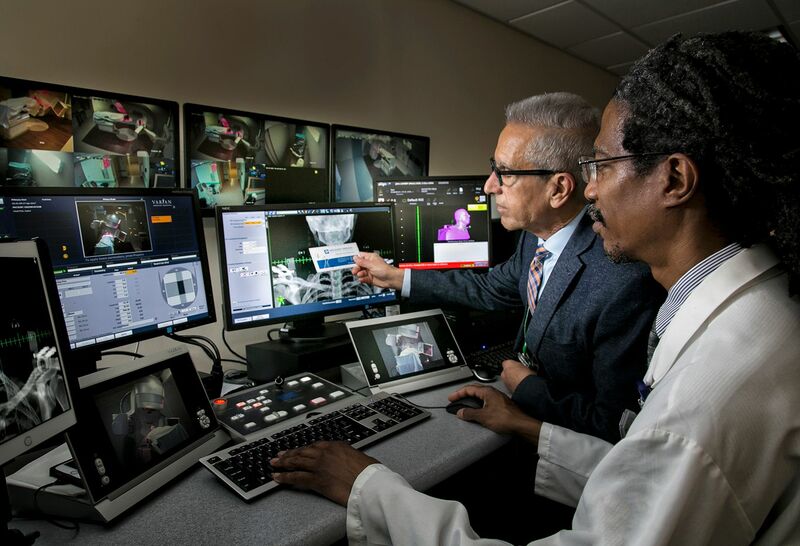 Our internal radiation therapy—when your radiation oncologist implants or inserts radioactive materials at the site of your cancer—includes brachytherapy, high dose rate (HDR) brachytherapy and intraoperative radiation. Our external beam radiation therapies, which are delivered from a machine outside the body, include stereotactic radiosurgery/body radiation therapy, intensity-modulated radiation therapy, image-guided radiation therapy, 3D conformal radiotherapy and 4D simulation. 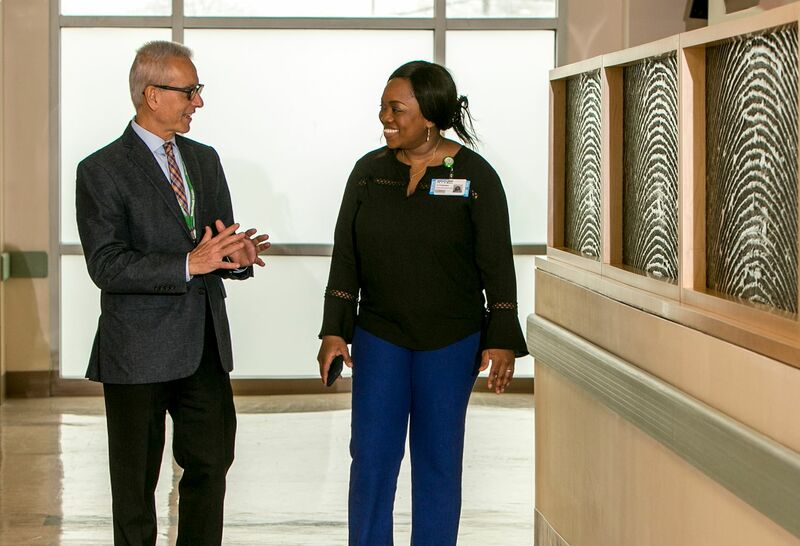 Our staff works in collaboration with the outpatient oncology program and other specialists here at the hospital to provide our patients with a treatment plan that aligns best with their unique needs. With our advanced treatment options and expert staff, there is no need to leave Staten Island for your care—you can stay close to home with the support of family and friends when you need them most. View some of our radiation medicine specialists working together to provide the very best care.